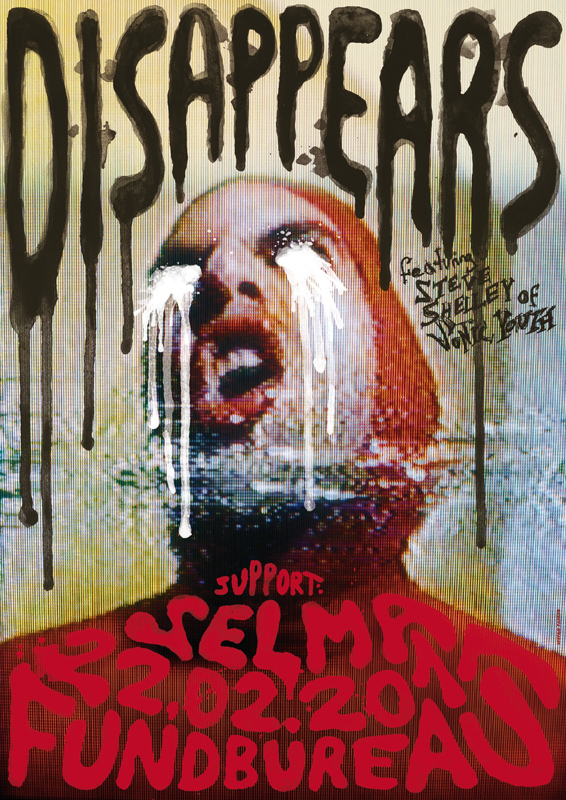 Poster for Disappears featuring Steve Shelley of Sonic Youth and Selma at Fundbureau, Hamburg. 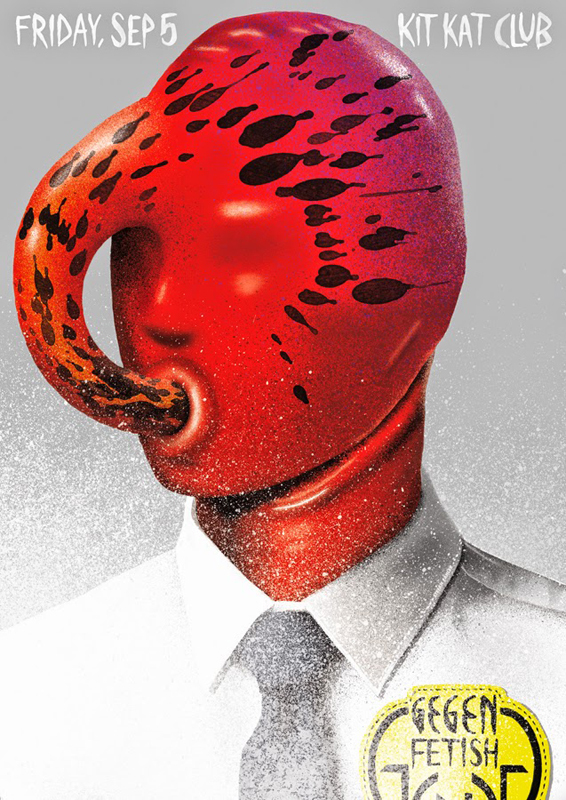 Illustration for 40th anniversary boxset and shirts, 2015. Design by Philip Marshall. 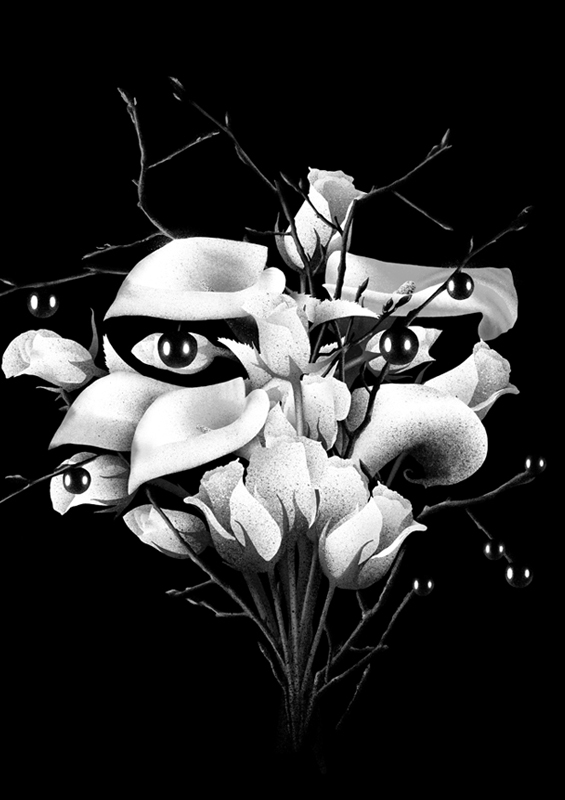 Ongoing flyer series for Gegen Berlin at Kit Kat Club. 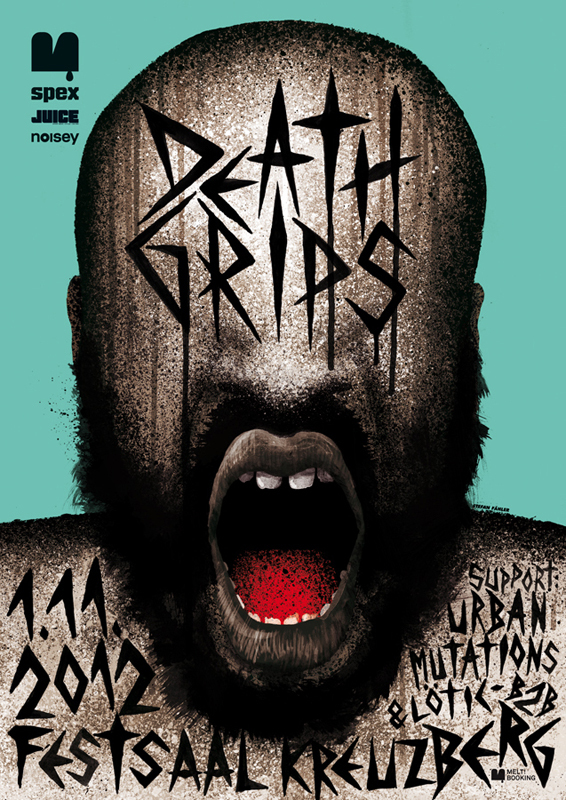 Poster for the german dates of Death Grips, 2012 at Festsaal Kreuzberg and 2013 at Berghain, Berlin.